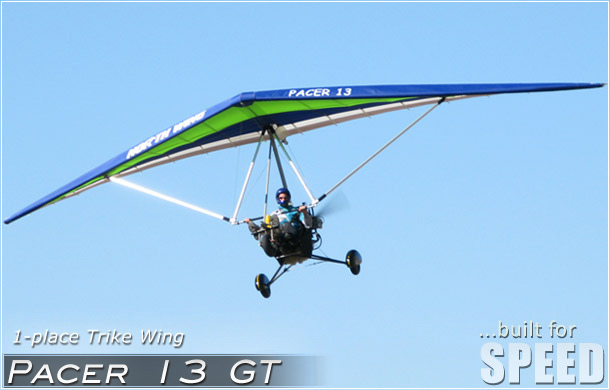 The Pacer 13 GT wing is a strutted wing with 4 internal sprogs for pitch stability. 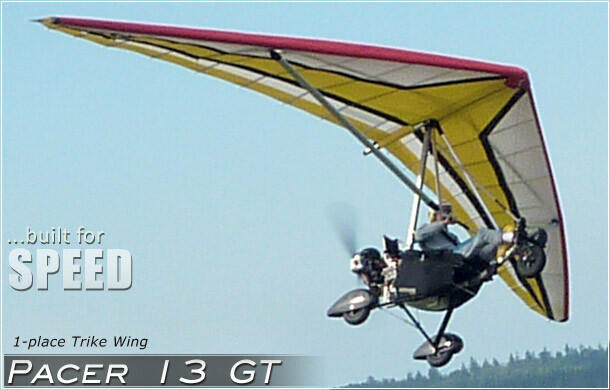 We are pleased the Pacer 13 GT has turned out to be a very docile wing for its double surface breed. 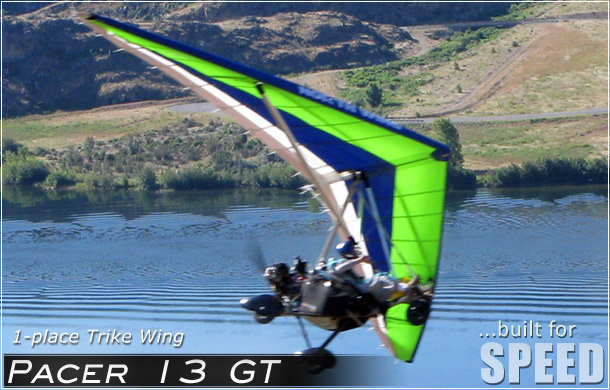 This wing will make it very easy for you to transition from your Maverick wing to the Pacer 13 GT. A very accomplished student could go right into the Pacer 13 GT if he/she had training on a double surface wing. The Pacer 13 GT flys trim at 50 to 60 mph and has a top-end cruise speed of 65 mph making it great for X-C flying. 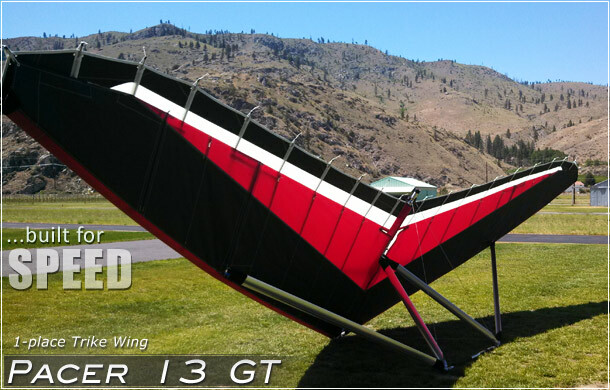 The number one advantage of the Pacer 13 GT wing is that it cuts through rough air like a knife, reducing pilot fatigue. We have also found that the Pacer 13 GT takes off with only 20 to 30 feet of extra roll. Control pressures in the roll axis will feel slightly more solid than the Maverick wing but overall very nice indeed. 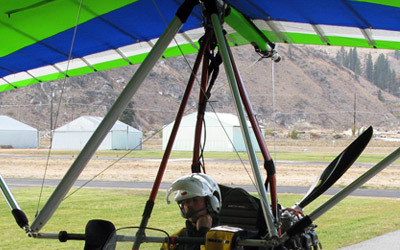 The pull in pressures that it takes to go fast have been greatly reduced. 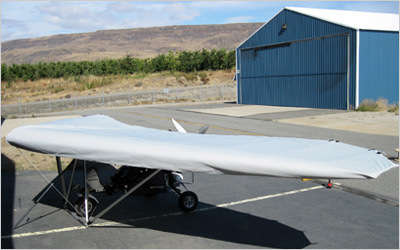 The stall is very light and mild, as in the Maverick wing. 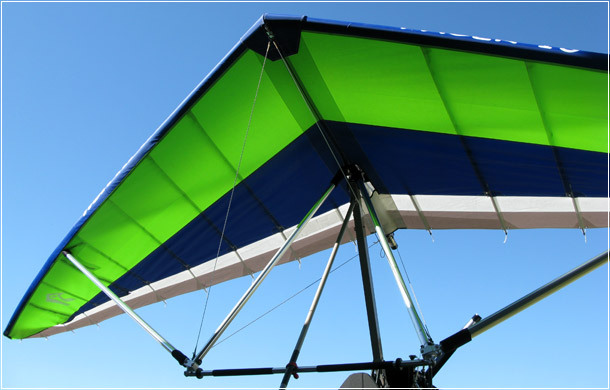 The Pacer 13 GT wing is designed for single place "FAR Part 103" trikes only, and cannot be used for 2-place light sport aircraft. 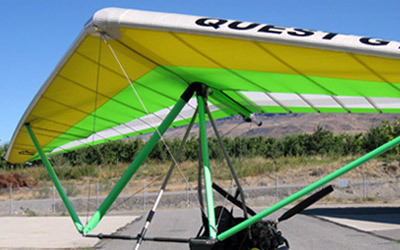 Why buy a quality North Wing?